We have had such wonderful weather here in the UK over the past couple of days that it would've been a real shame not to have gone outside at some point, between work and school, to enjoy it as a family. There was also no better time than National Picnic Week for the sun to make an appearance so we packed up a little wicker basket one evening with some tasty nibbles and drinks then headed out to the beautiful fields nearby. Somewhere we often go over the summer with the poochie. It wasn't long until the lovely heat got the better of us so we sat down amongst the grass for a food and drink stop. The views are very beautiful in this area, we are incredibly lucky that it's on our doorstep, and it's always very peaceful with only the sounds of wildlife nearby. 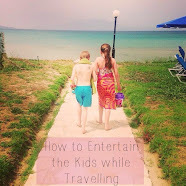 The Mini Mes were soon tucking into some cookies, crisp juicy apples and pork pie whereas I stuck to salad and chilled water as I'm on a never-ending mission to shift a few pounds ready for my vacation to Mauritus! 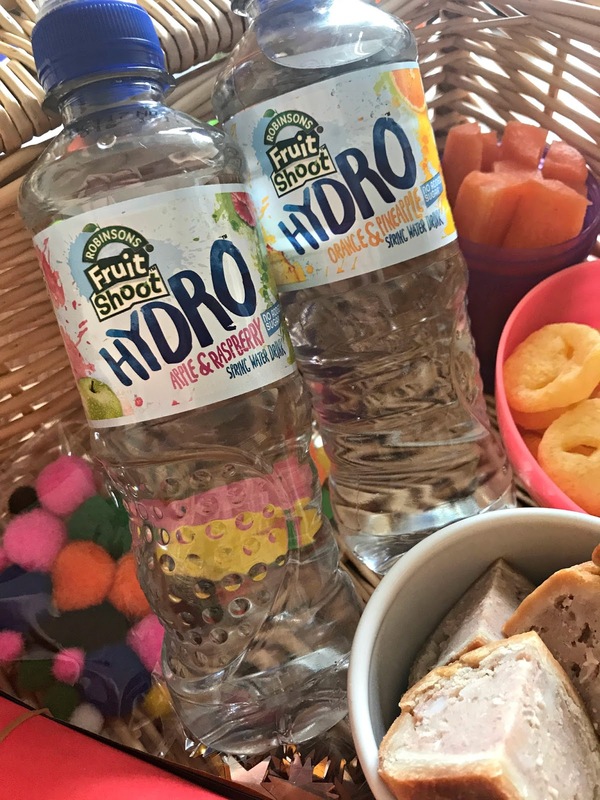 What we love about the Fruit Shoot Hydro range, which is sugar free still spring waster, is that they are naturally flavoured and really encourage the Mini Mes and I to drink more throughout the day. 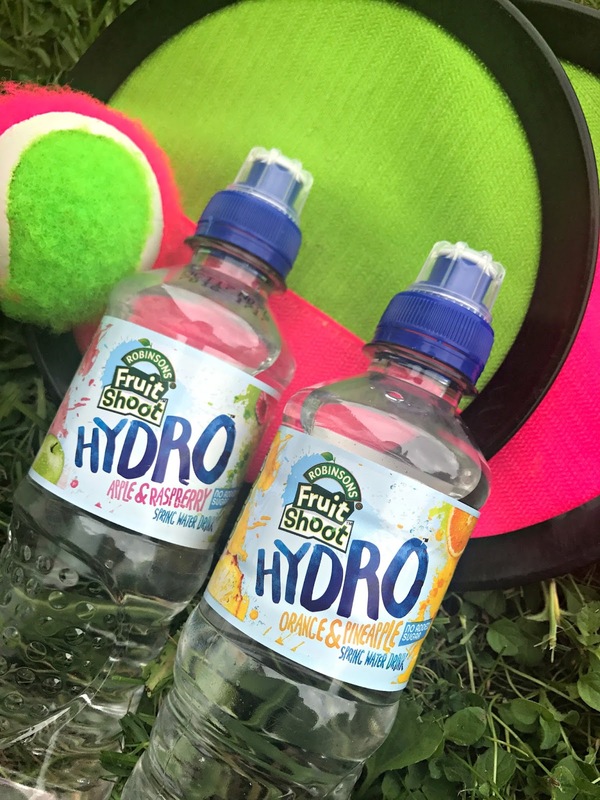 None of us are particularly keen on water straight from the tap and as they aren't allowed squash or fizzy drinks at school these are a great alternative to keep us all refreshed and hydrated - especially with the recent sunshine and a need to consume more. After finishing off our picnic and packing away we decided to try a few crafts and play some ball games as we watched the sun begin to fade over the hills. 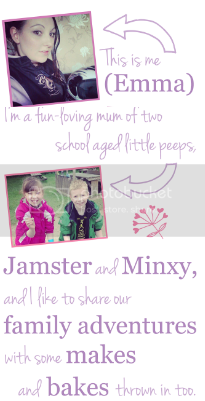 Fruit Shoot are currently encouraging children to do whatever they enjoy and makes them happy with their 'It's My Thing' campaign and as Jambo loves sports and Minxy loves to be creative this was the perfect opportunity to do both. Have you been enjoying the sunshine too?